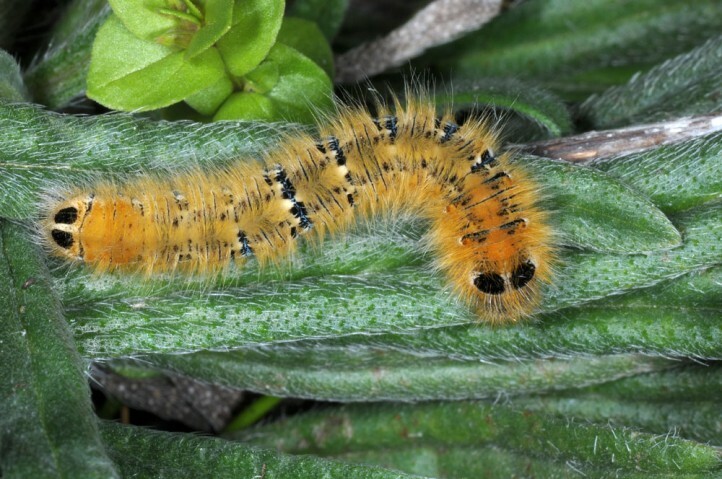 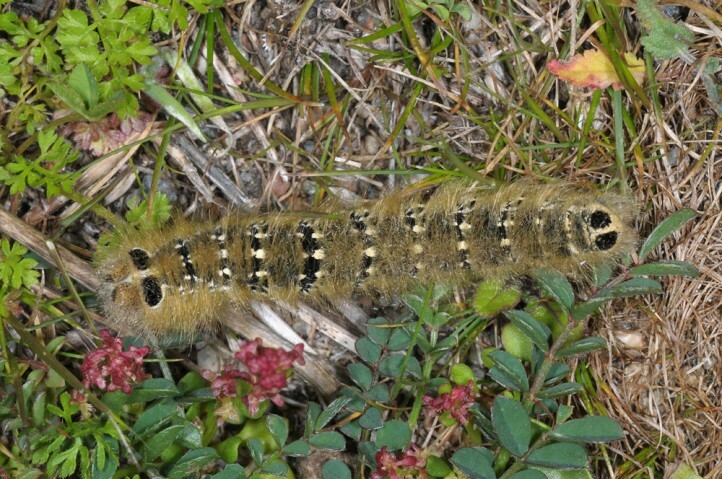 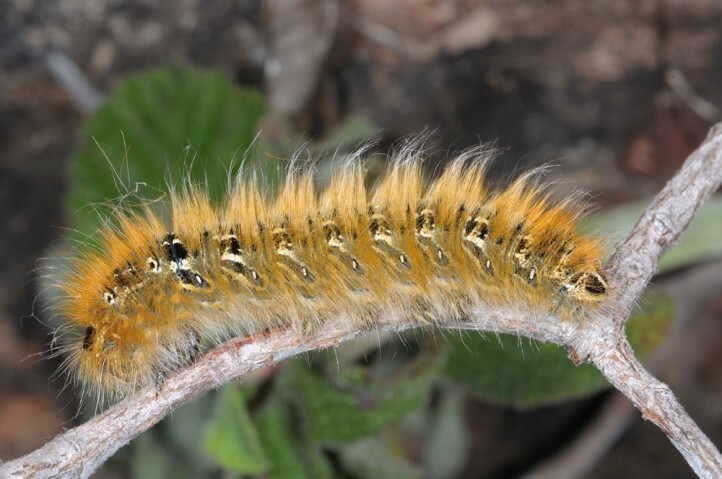 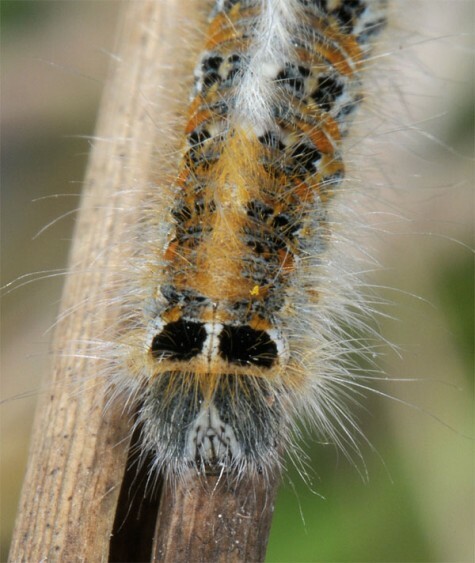 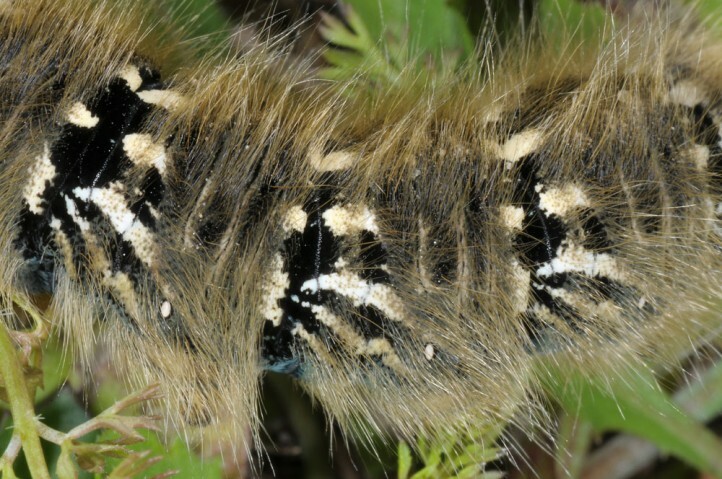 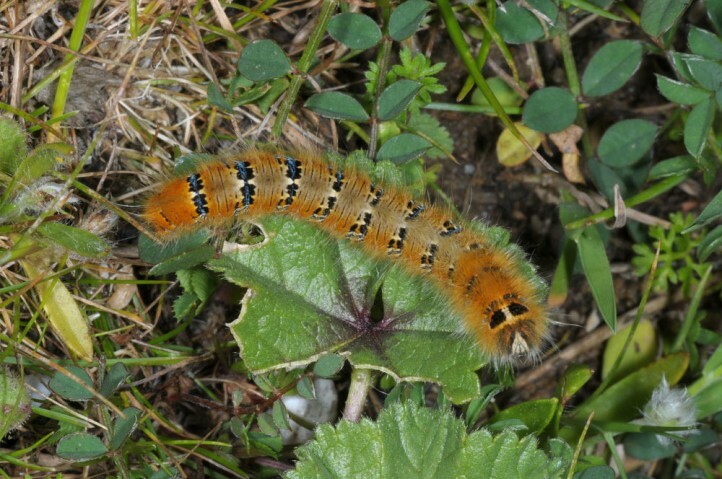 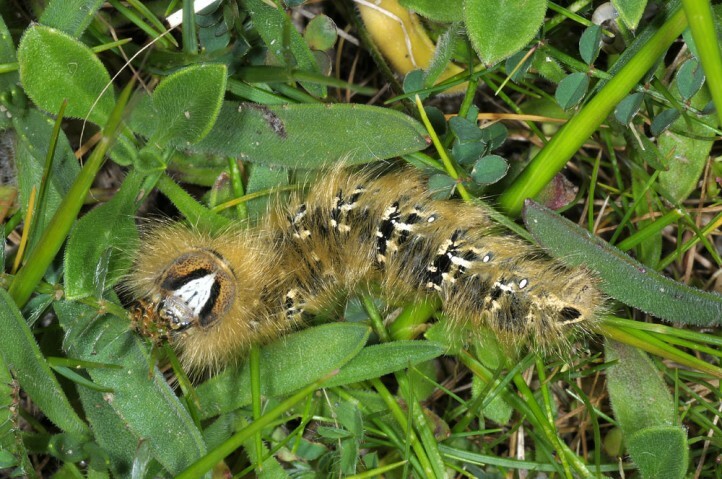 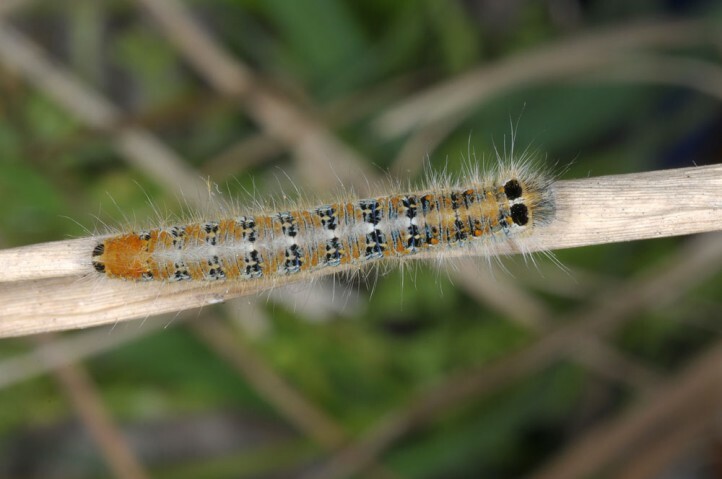 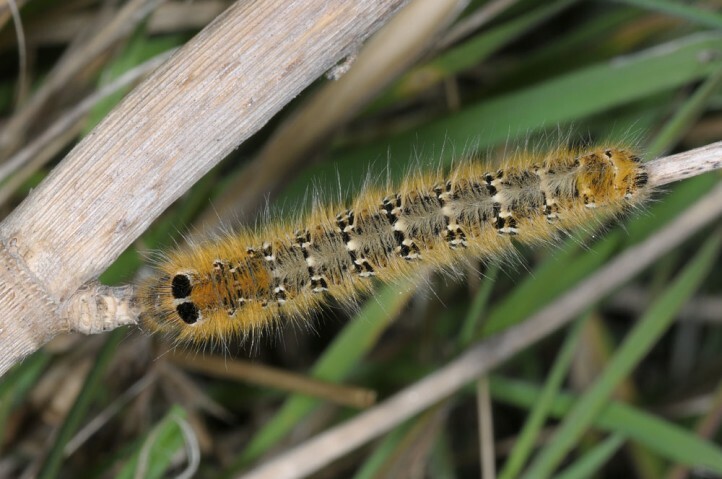 The larvae are polyphagous and feed especially on Fabaceae (Trifolium, Vicia, Onobrychis etc. 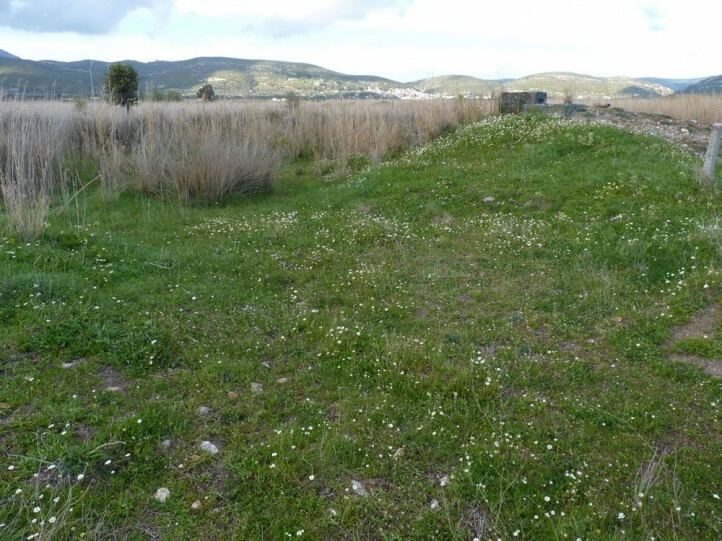 ), but also other herbs, low shrubs (one larva near Mytillini on Samos) and rarely grasses. 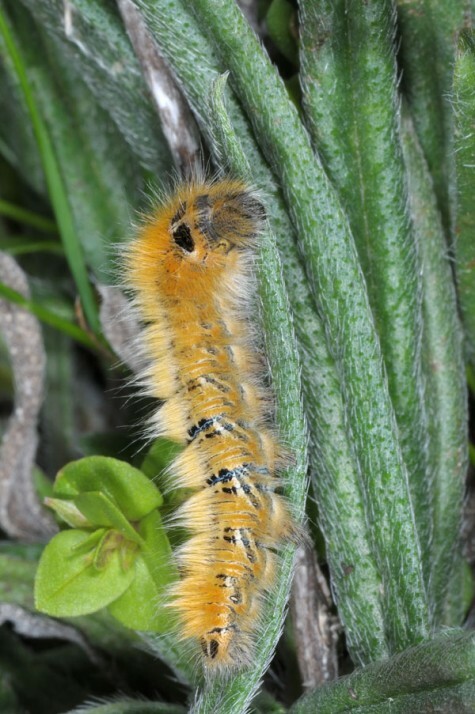 I found only a single larva on Echium angustifolium which was in moult rest. 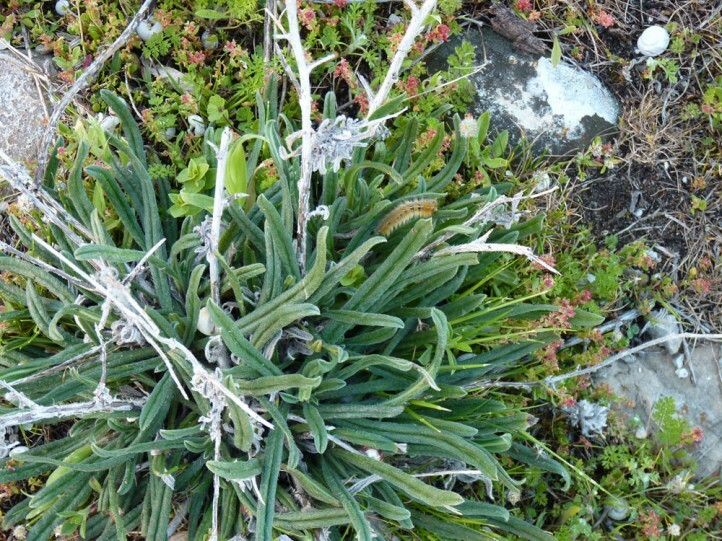 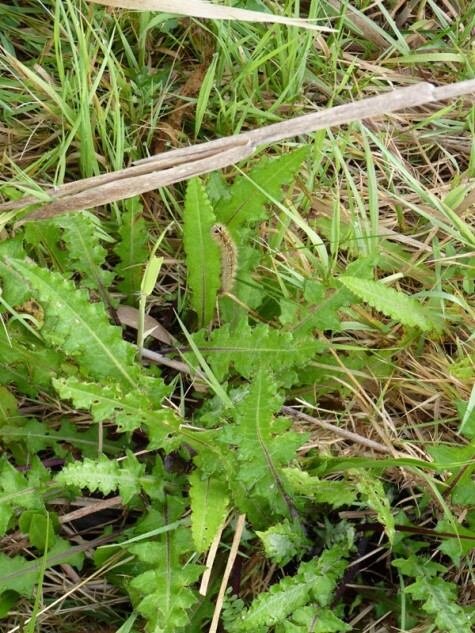 This plant that was mentioned by Fritsch et al. 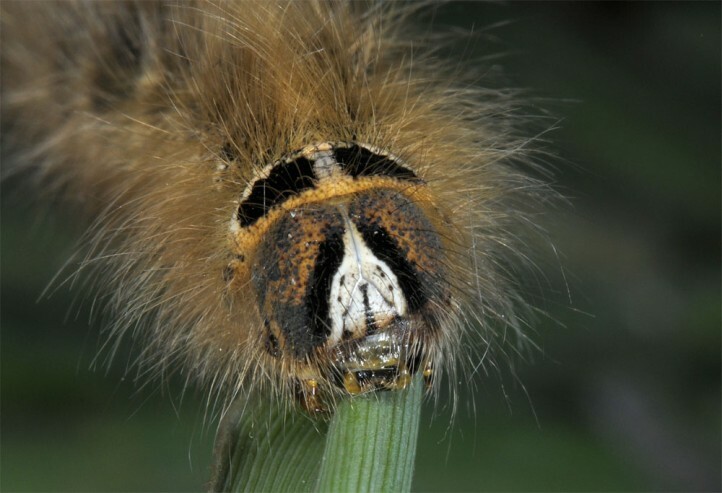 (2014) in the first place was even not accepted as a food plant in my rearing. 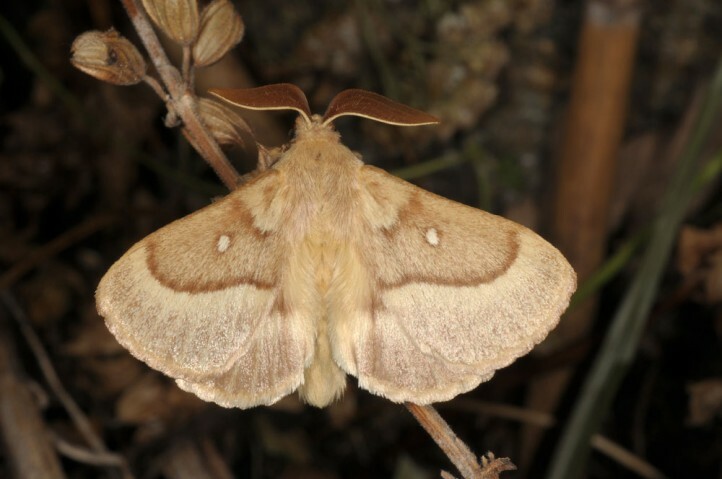 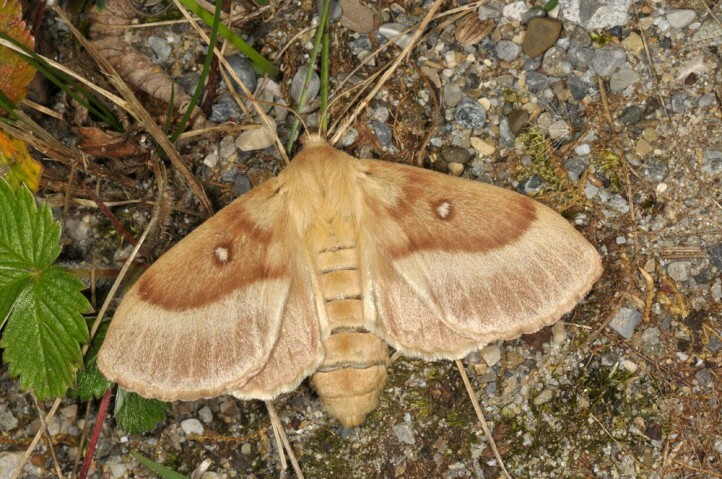 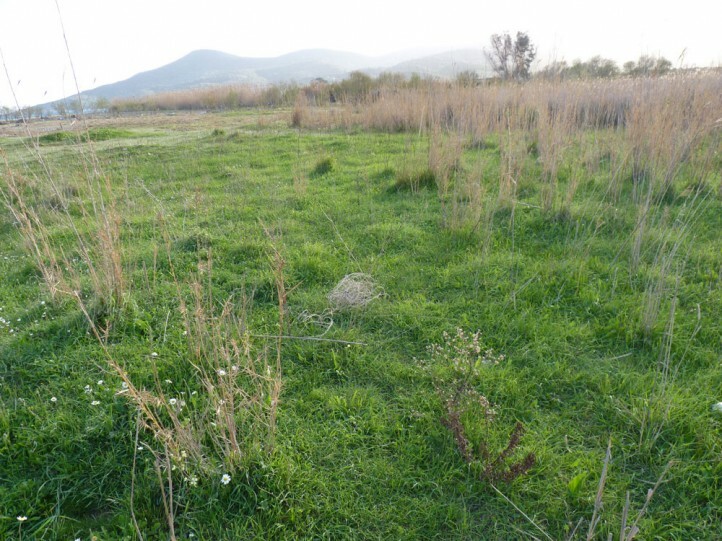 In Samos Island Lasiocampa terreni inhabits especially coastal wetlands in the Southeast. 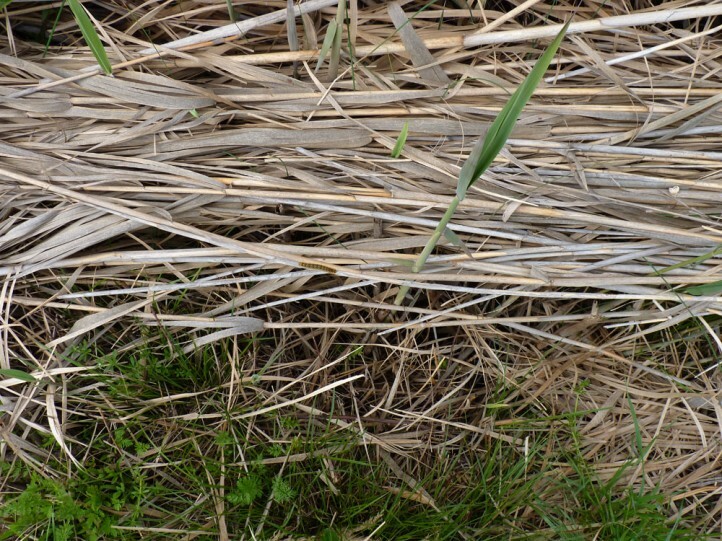 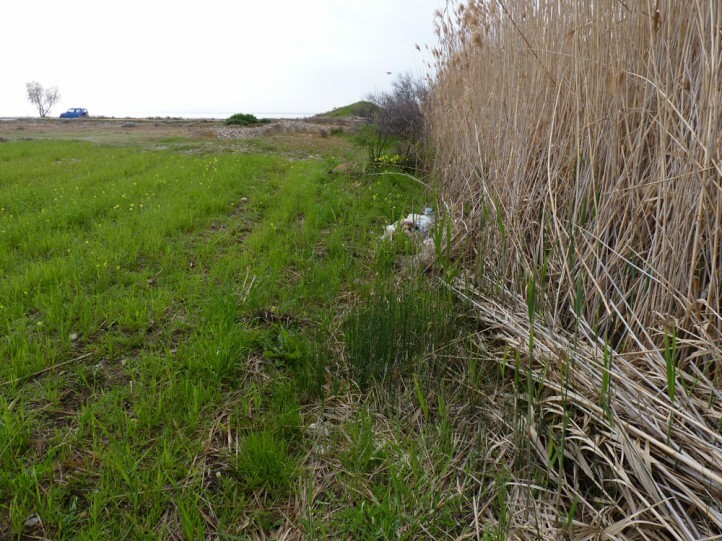 I recorded most larvae in the grassy and herb-rich, occasionally grazed (goats) transition zone of the sandy beach and the reed belt. 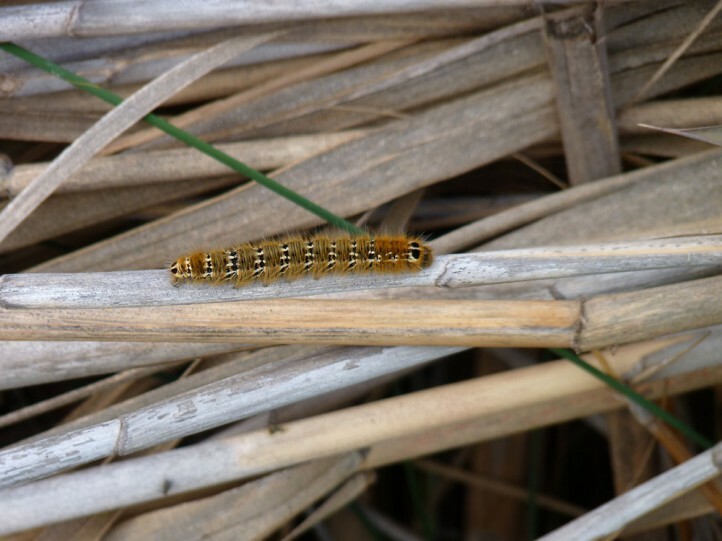 In the open, dry and sandy coastal zone with Echium angustifolium I could hardly find a larva, but contrarily several larvae directly within the reed belt. 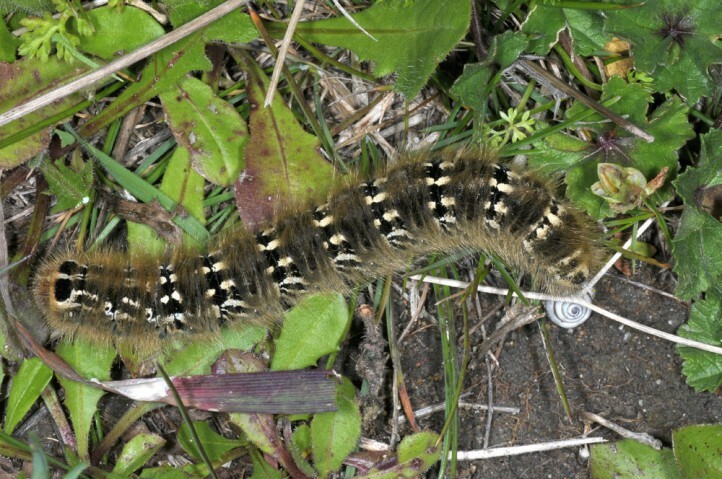 But the larval habitat can be quite polymorphic. 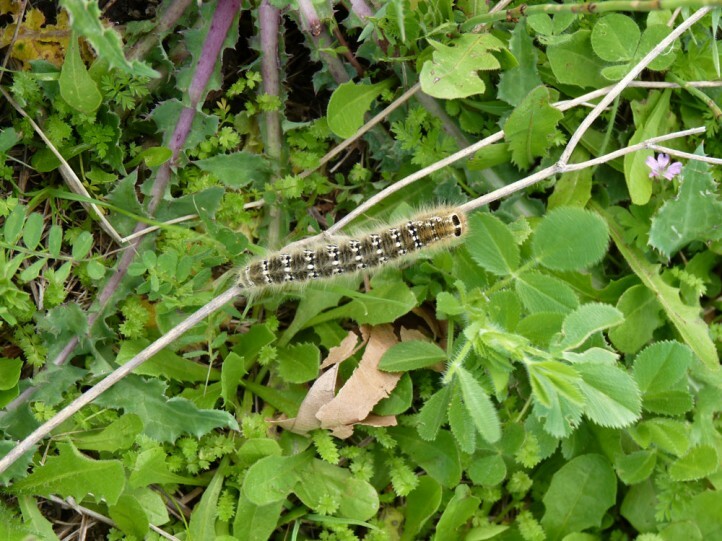 I also found a larva in a dry olive grove with garrigue-like undergrowth in the backland near Mytillini. 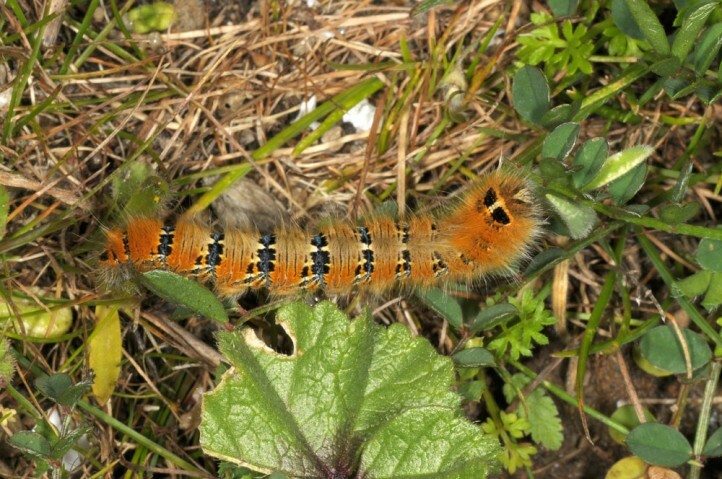 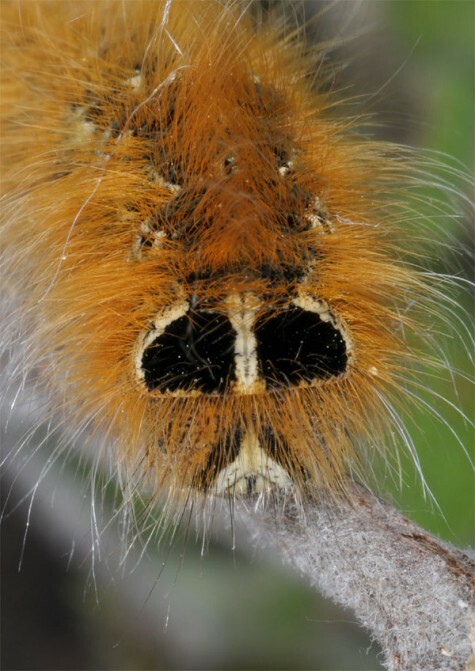 The larvae live between autumn and spring. 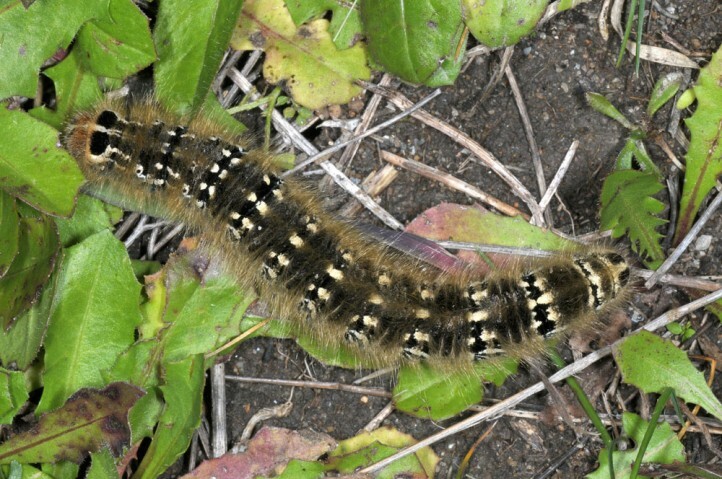 They are mature between March and April. 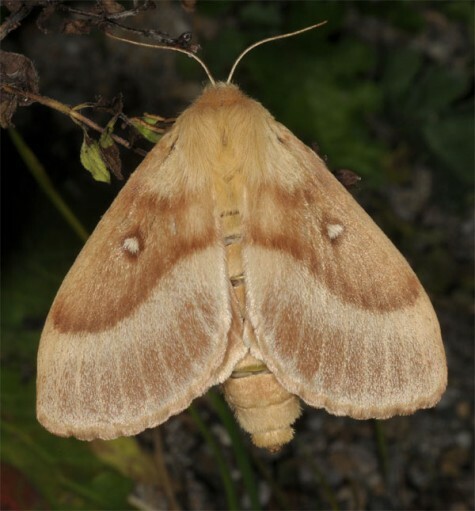 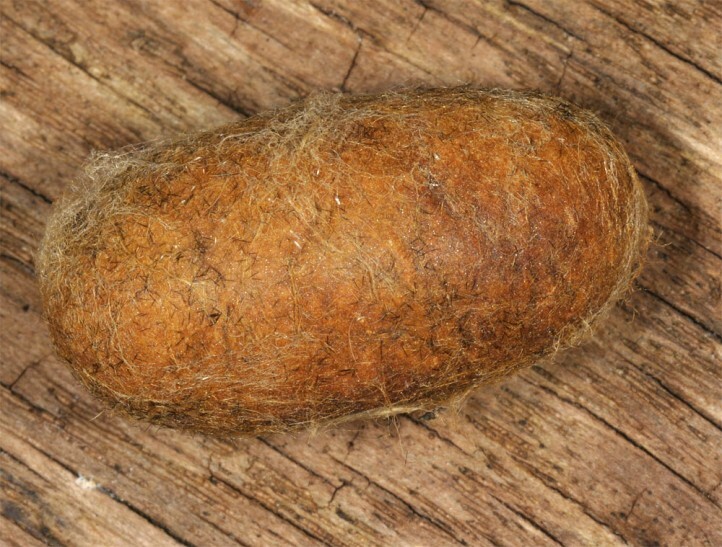 The cocoons aestivate and moths occur between (late August) September and early November. 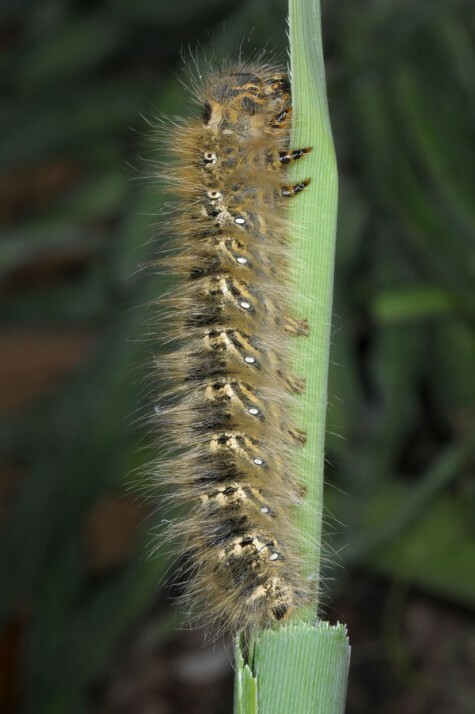 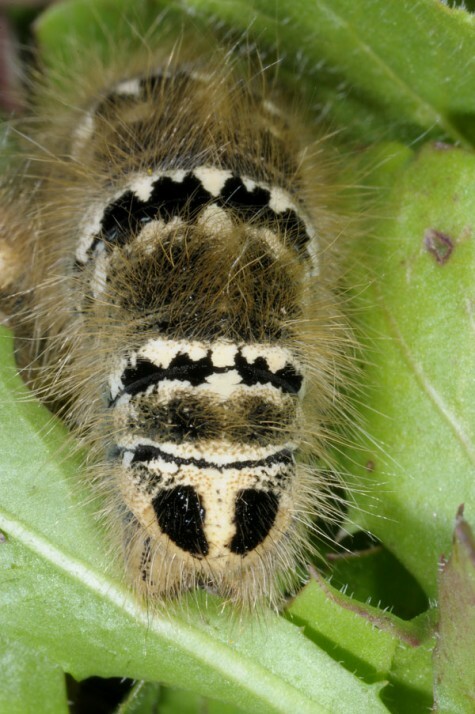 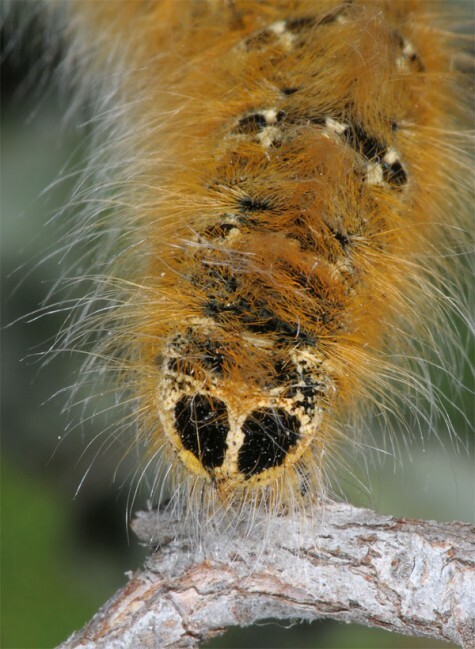 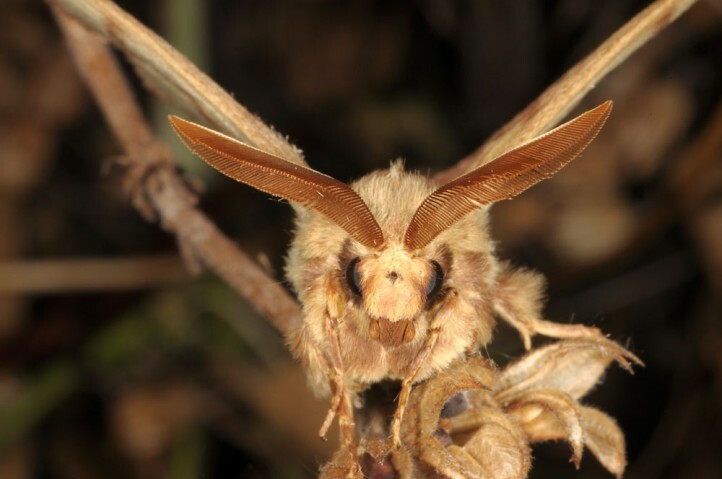 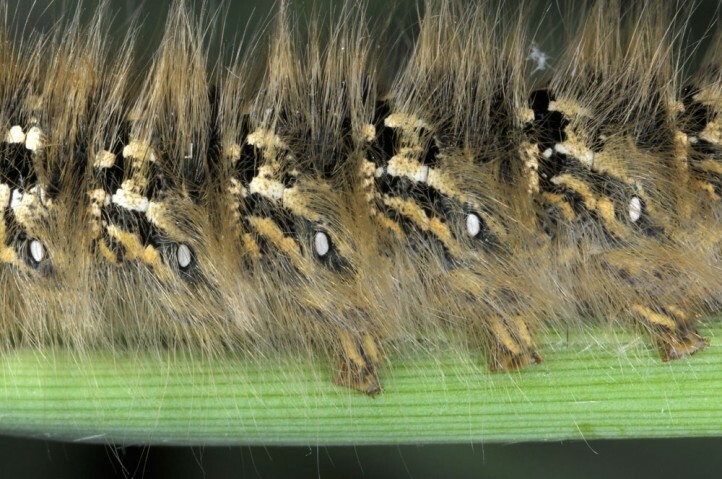 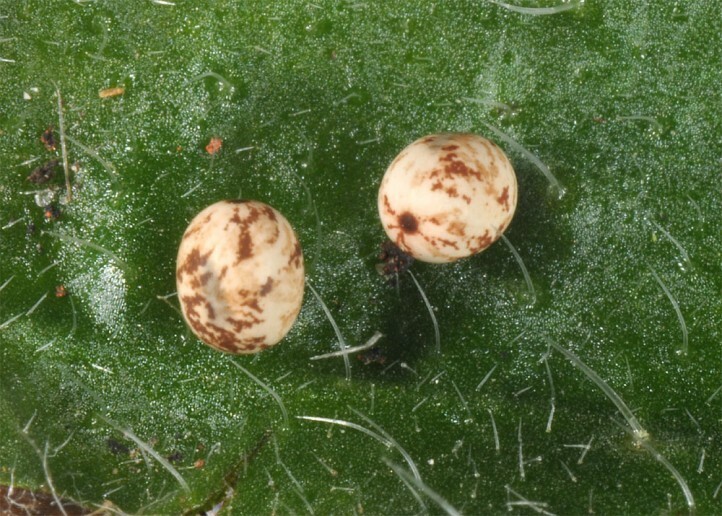 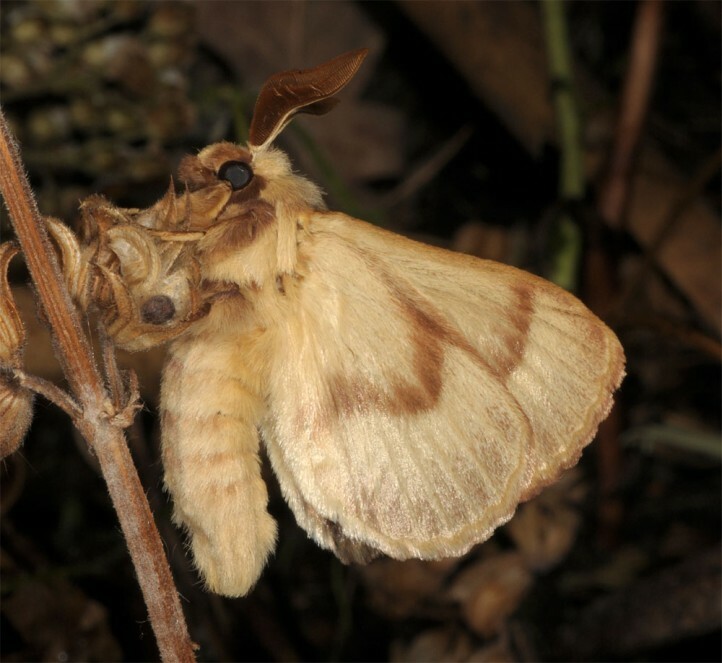 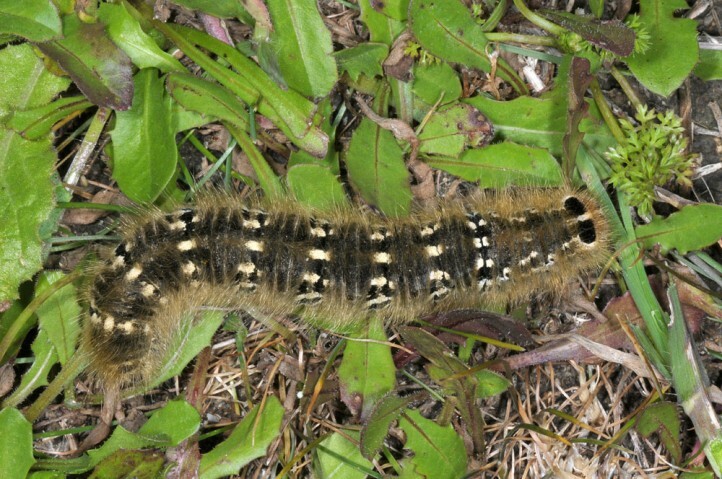 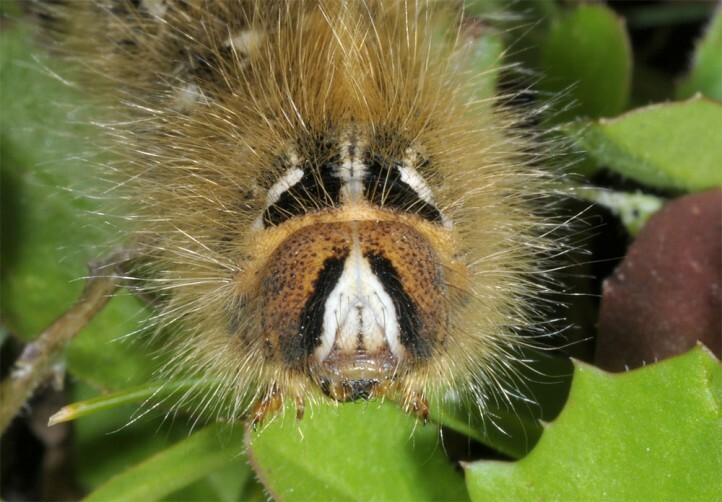 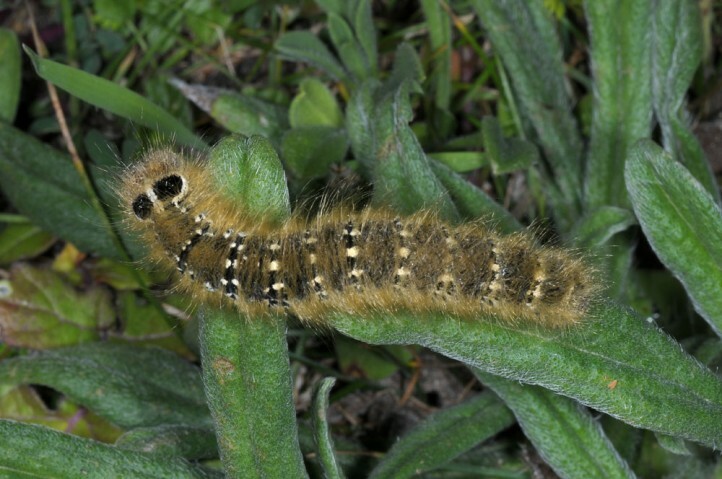 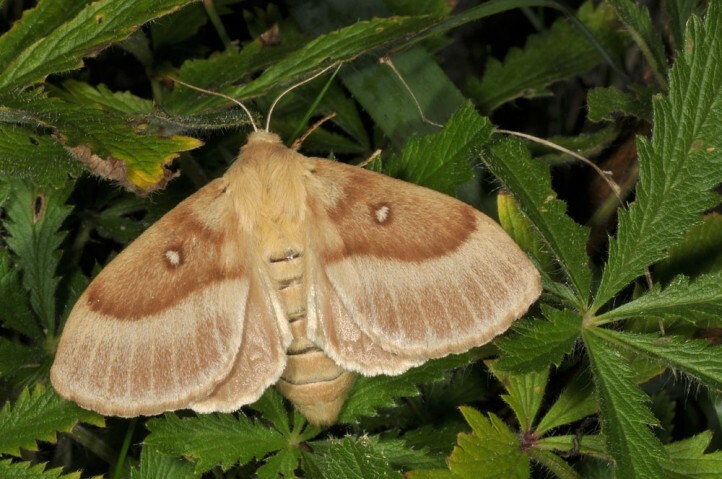 Older larvae usually hide away in low vegetation during daytime. 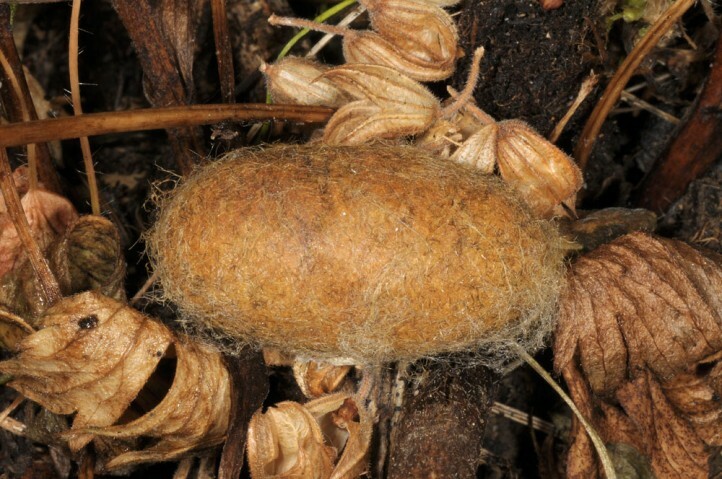 Only individuals in moult rest can be seen more exposed. 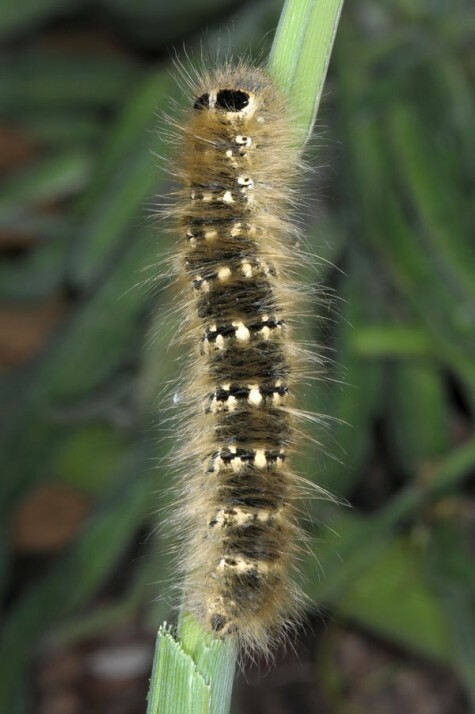 From late afternoon feeding activity rises. 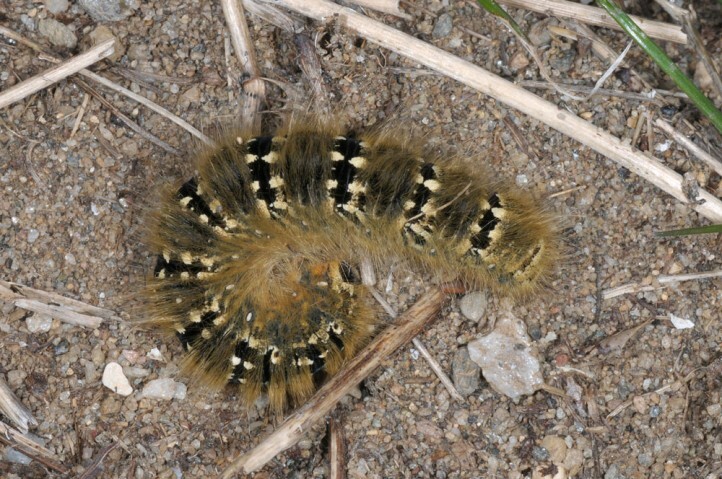 The most larvae sit directly on the ground. 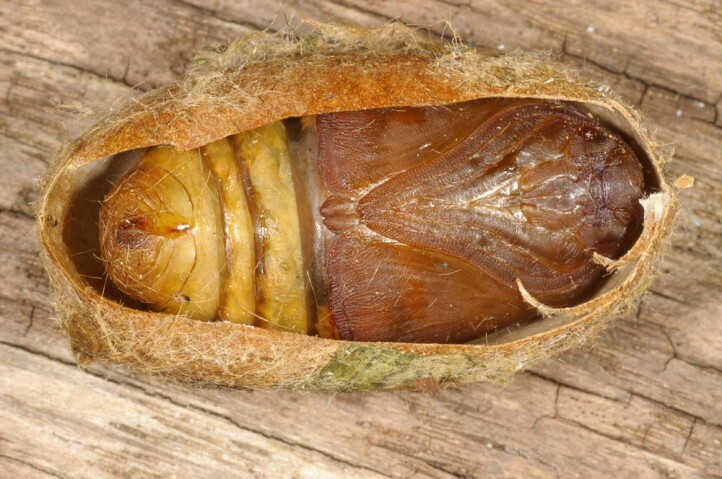 Lasiocampa terreni is locally endangered due to cultivation or overbuilding of its larval habitats. 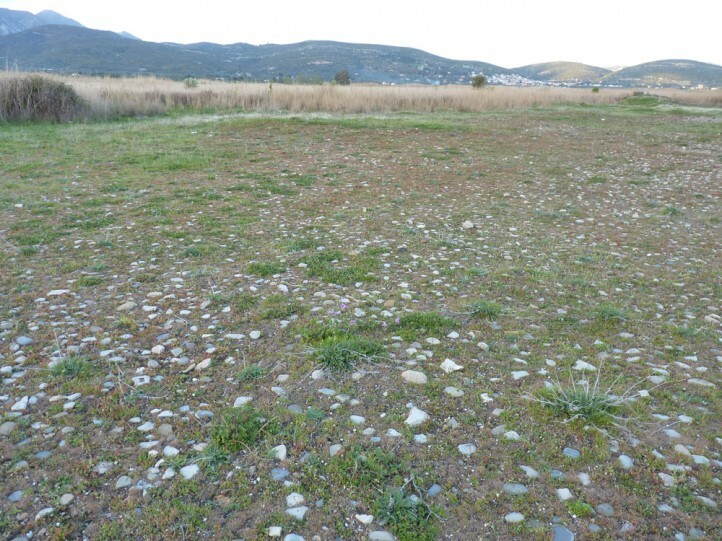 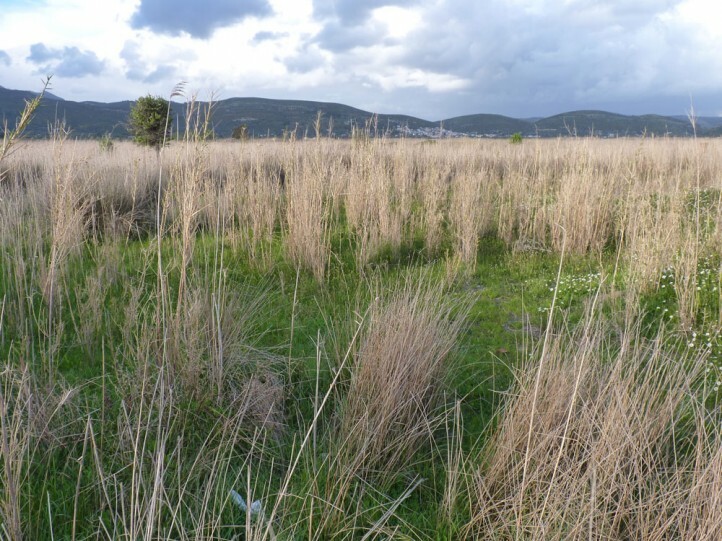 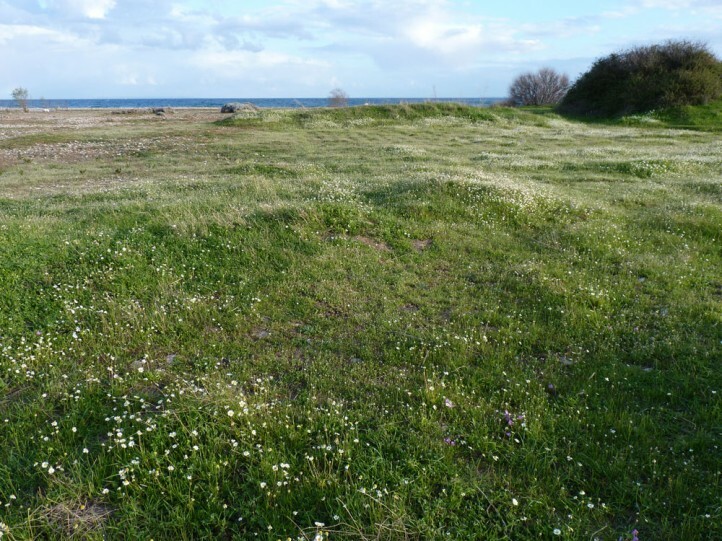 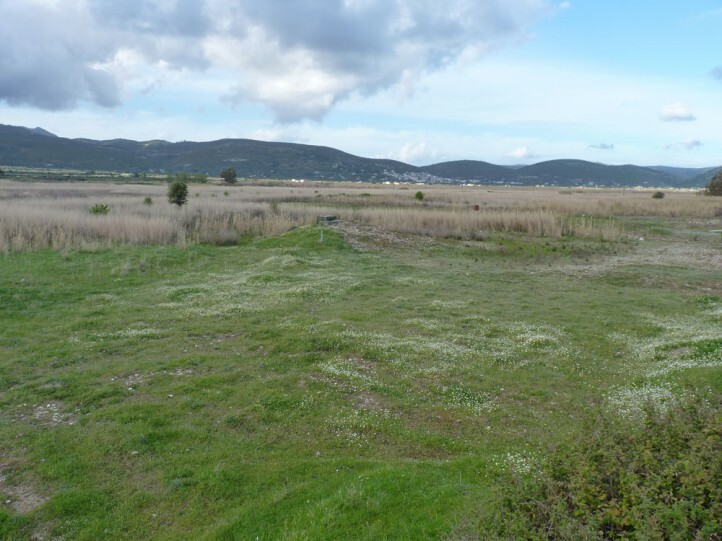 Coastal wetlands and extensively grazed ruderals are more and more pushed back even in areas like Samos Island. 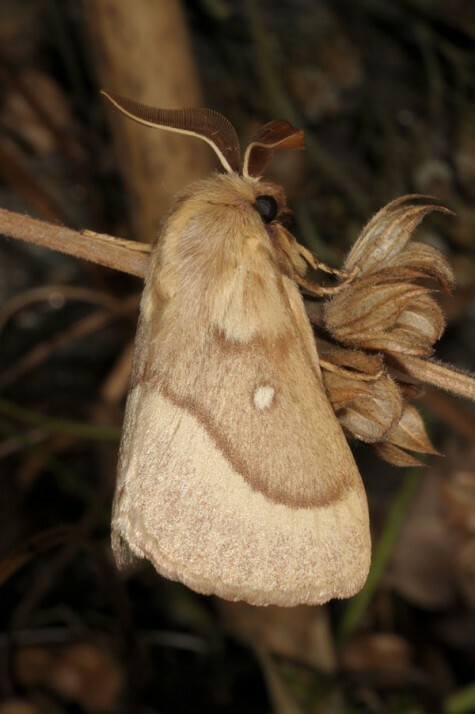 Lasiocampa terreni occurs on some East Egean Islands (Greece, especially Samos and Rhodes), in Asia Minor, on Cyprus and in the Near and Middle East (e.g. 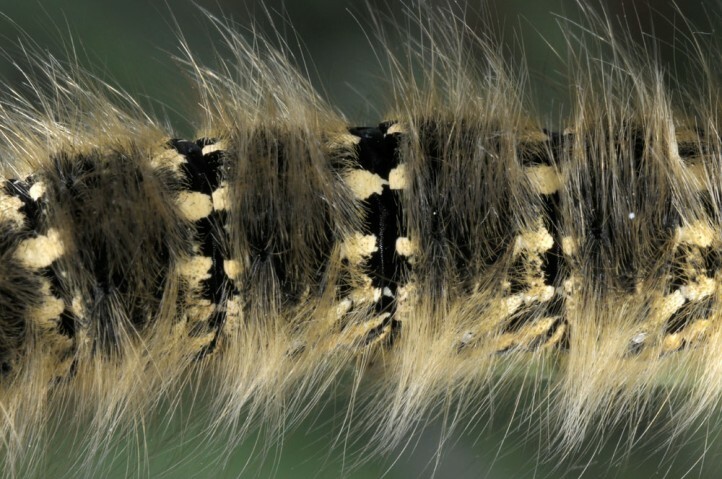 Iran).